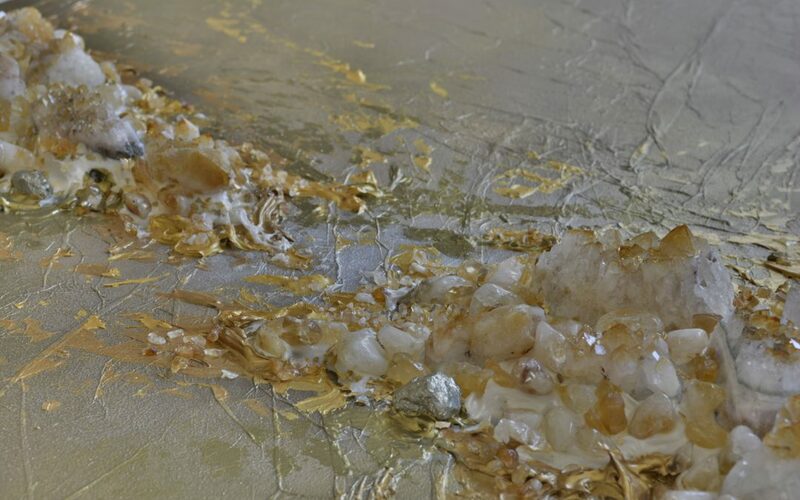 Recently I was graciously had AMSTERDAM WHITNEY International Fine Art Galleries in New York say these things about my Semi Precious Stones artwork. I was so shocked on what was said. I feel the words that were spoken were so eloquent and touched me so much to have someone recognize my work in that way. I wanted to share what was said with you. A special thank you to them for all there kind and moving words. 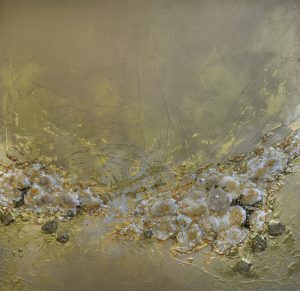 ” 24 KARAT” which resonates with a profound visual narrative as you reveal the invisible within the visible through spatial aesthetics. The spiritual artistic journey that you portray in your stellar oeuvre was quite impressive and was a triumph of personal expression and imaginative experimentation of technique and texture. “CRISP BREEZE” generated a profound sense of symbolism while reflecting a universal message. We salute you on your aesthetically absorbing oeuvre which reverberates with a dynamic textural sense and powerful visceral shapes. We were enthralled by the emotive quality of “REFLECTED” which reflects your fine talent and vibrant visual intensity of colors. 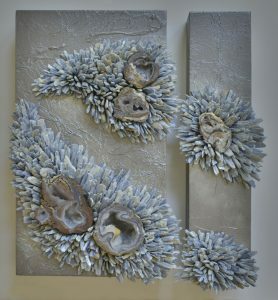 Your compelling “LONGEVITY” conveys your unique artistic vision of capturing the impalpable as you seize the essence of the emotional and physical experience.